Q: I entered federal service late in my working life (at age 52). Will my federal retirement benefits be a meaningful source of income for me? A. Before we take a look at what you will receive in federal benefits if you stay with the government long enough to retire, we should look at the retirement benefits that you accumulated in your career up to the time when you joined federal service. Presumably you were working at a job that had some kind of retirement plan. If you were fortunate, you might even be entitled to a defined benefit pension. The odds are good that you had the ability to contribute to a defined contribution plan like a 401(k). It’s a virtual certainty that you were contributing to Social Security and will become entitled to a Social Security benefit at age 62. We should be funding our retirement throughout our whole career, not just at the end of it. When I am teaching retirement planning classes for those early in their career, I ask the participants which of the “big three” savings goals a bank won’t give them a loan for; the purchase of a principal residence; the education of their children; or their retirement. So, how much will federal retirement benefits add to the benefits you have already accumulated? Quite a bit! For the purpose of this article, we will assume that you will work at your federal job until you become eligible to retire at the age of 62 – ten years. 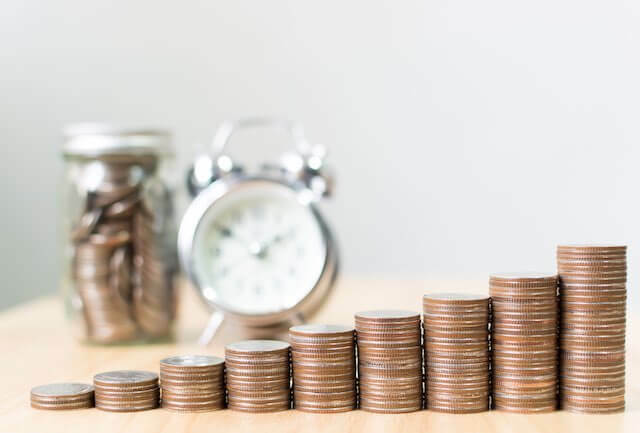 We will assume that your high-three salary will be $100,000 at the time you retire and that you are able to contribute up to the TSP’s elective deferral limit, but are not able to make any catch-up contributions. At age 62, retiring with 10 years of service, you will be entitled to a FERS pension (before deductions) of $10,000 per year ($833 per month). Social Security. Your additional ten years of earning will almost certainly have increased your lifetime earnings, resulting in a higher Social Security benefit. Using the TSP calculator How Much Will My Savings Grow, (found on the TSP website), and assuming a starting salary or $90,000, a contribution rate of 18% of your salary, a 1% pay increase each year, and an average annual return of 5%, you will have amassed slightly over $275,000 at the end of ten years. At a 4% withdrawal rate, that would give you $916 per month in income that could be relatively safely adjusted annually for inflation. As long as you were covered under the FEHB program for the five years immediately preceding your retirement, you can continue FEHB coverage into retirement with the government still continuing to pick up its share. It’s hard to place a cost on this benefit; a benefit that most private sector retirees do not share. Admittedly, some of the above calculations are a little simplistic, but it can’t be denied that the benefits that you would have earned through ten years of federal employment will greatly enhance your financial security during your retirement. How Much Could You Have in Your TSP at Retirement?